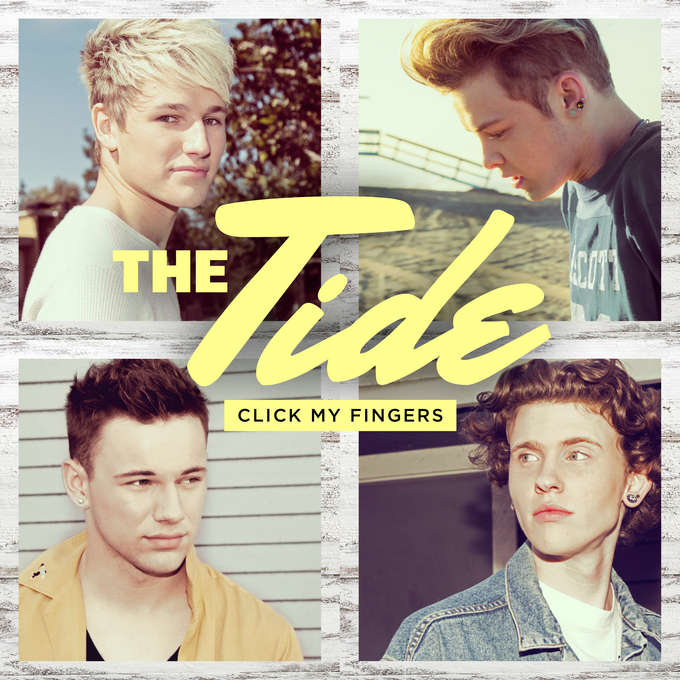 LA based boyband The Tide are no doubt hoping that the love they enjoy across their social platforms can turn into mainstream chart success for their latest single ‘Click My Fingers’. Signed to The Vamps’ own label and created by the team behind The Vamps, the band (Austin, Levi, Drew and Nate) currently enjoy an audience of almost 150,000 on Facebook and a little over the same on Twitter. If each of those followers purchased their tracks, they’d more than likely be superstars. So what’s ‘Click My Fingers’ like? It’s a pretty likeable, albeit rather formulaic, piece of pop; the boys basically singing, ‘we love you, we’ll protect you, come with us and everything will be okay’. It’s almost like a call to arms. Clip-wise? School, playground, skateboarding, cool threads, great hair. Time will tell if the boys can fill the 1D-sized hole that’s currently left vacant.